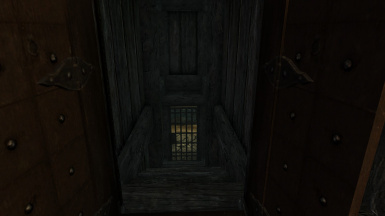 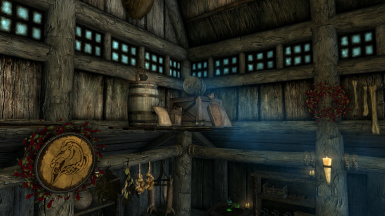 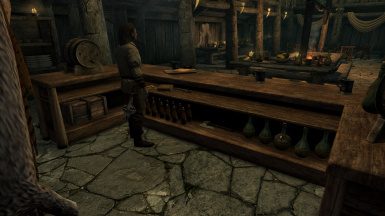 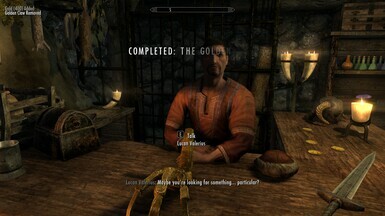 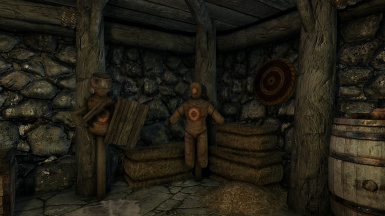 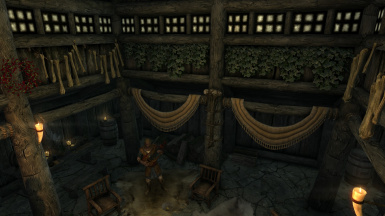 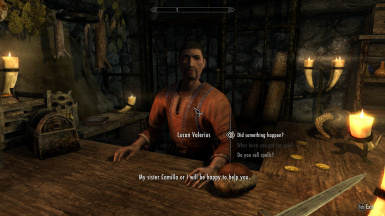 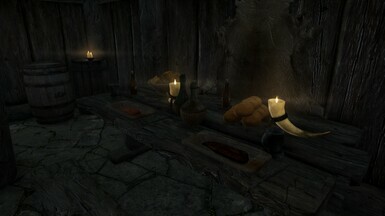 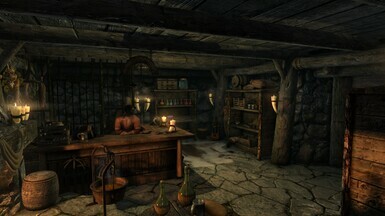 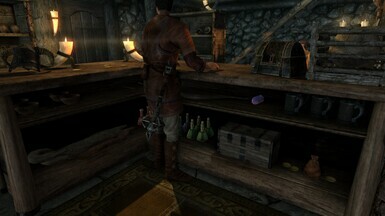 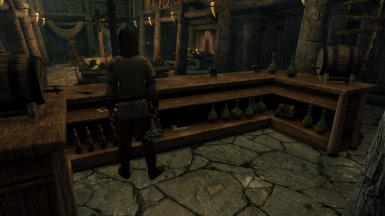 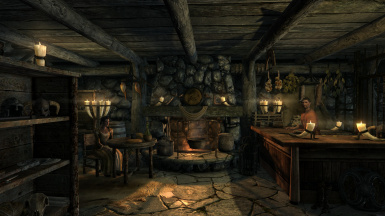 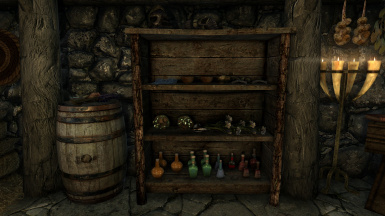 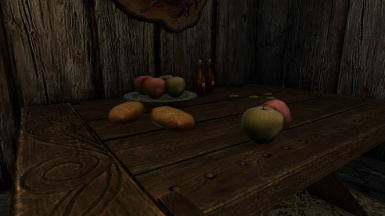 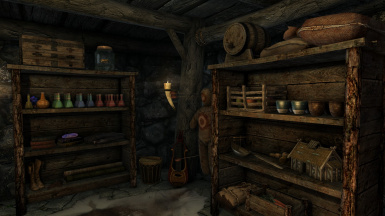 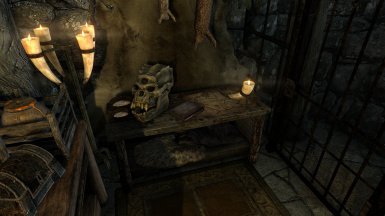 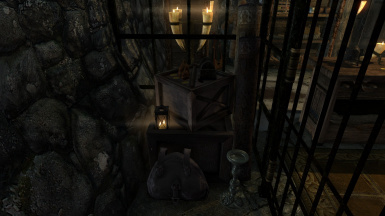 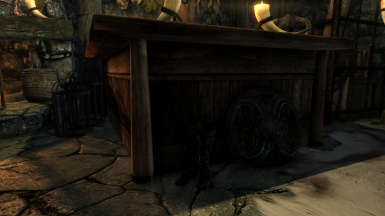 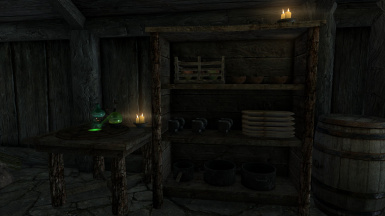 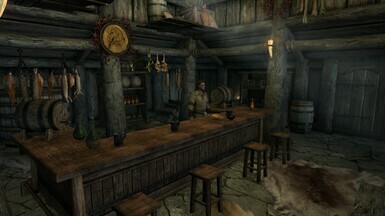 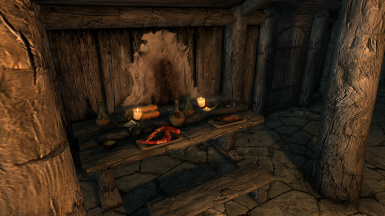 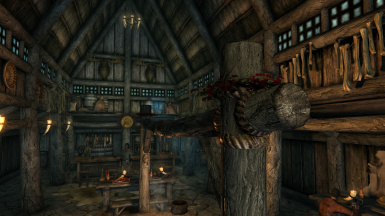 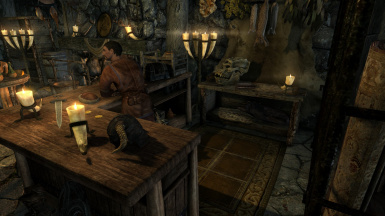 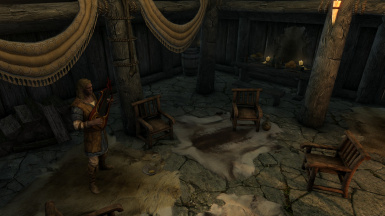 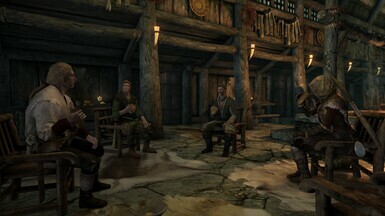 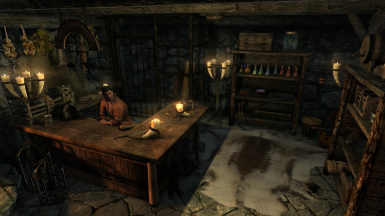 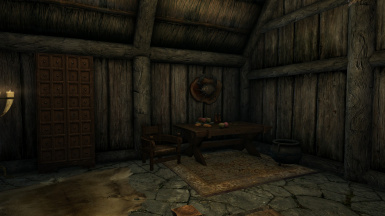 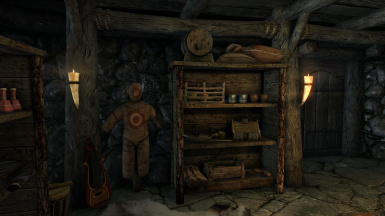 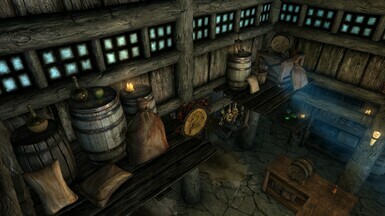 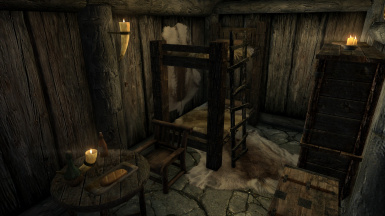 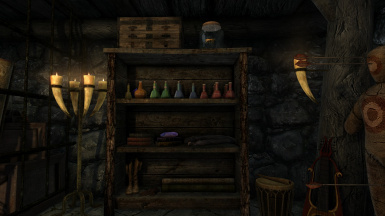 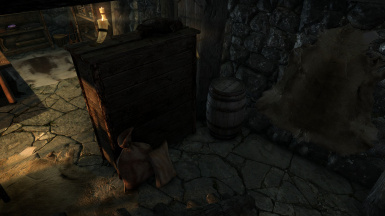 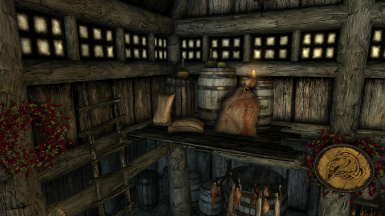 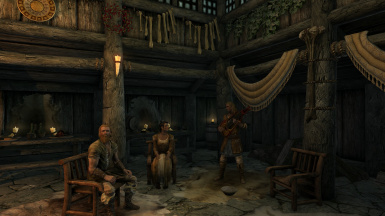 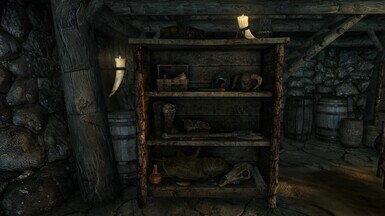 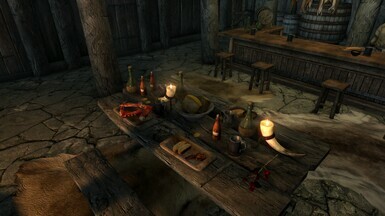 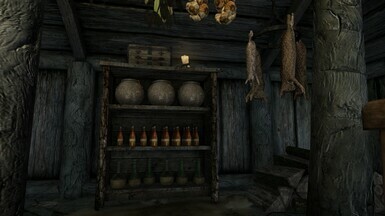 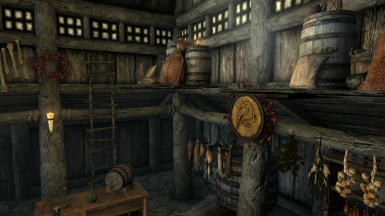 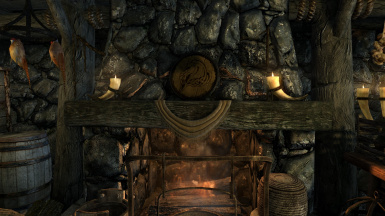 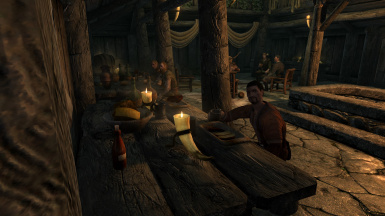 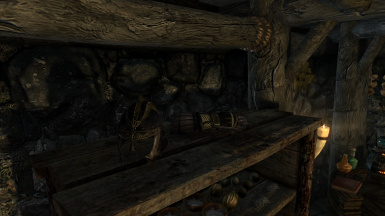 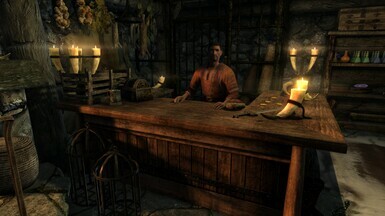 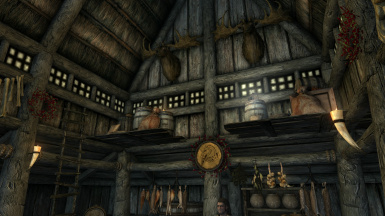 Removed some objects from the Riverwood Trader so the player won't accidentaly steal while trying to talk to him and added some more behind the self to fill empty space. 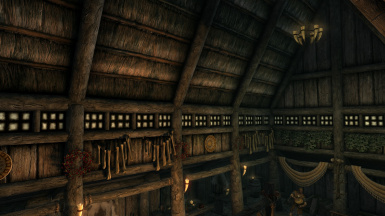 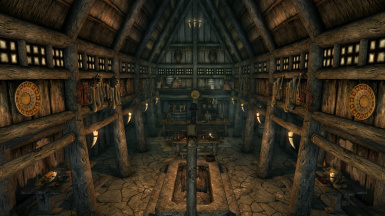 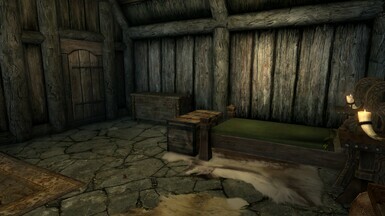 Completely new Sleeping Giant Inn. 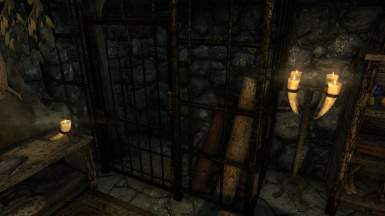 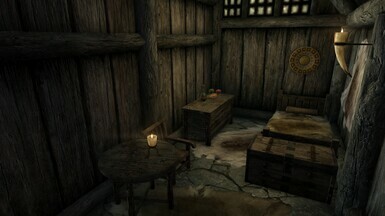 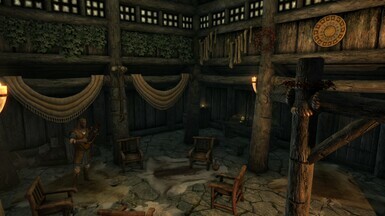 Navmeshed and cleaned with TES5Edit.